If you are stressed or feel a strong need to get out of your city for some fresh air, there is nothing better than a weekend getaway – a break from work, the constant emails and the unending phone calls. Believe me, a vacation is all you need to reenergise yourself, even if it is just for two days. While there are many places one can go to get relaxed and enjoy ones vacation, travelling to Islamabad is a good option to consider, especially if it is for a short period. And keeping the duration in mind, it would help if you know where to go and what to do to make the most of your oh-so-precious time. 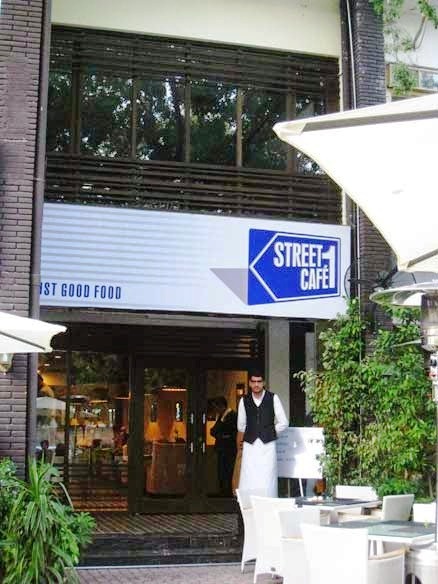 One of the best dining places in Islamabad, Street 1 Café, is the place to go if you’re looking for great food and an even better atmosphere. With the city being so small, you are bound to bump into someone you know. Margalla Road is the long road that makes Islamabad as peaceful as it is. With no ‘khaddas’ or speed breakers (unlike any road in Karachi), whether you are listening to pop, house or rock, Margalla Road is the place for long drives, lined with tall trees, and beautiful hills as a backdrop. Anything you are looking for, be it books, food or clothes, Jinnah Market in F7 is the place. But more importantly, the yummy Afghani fries with that spicy green chutney will make your day. No matter how many times I visit Islamabad, I find myself getting a big fat plate every time. They are way too delicious to pass up. No better way to enjoy the scenery than going for a hike at 6am to Trail 5. 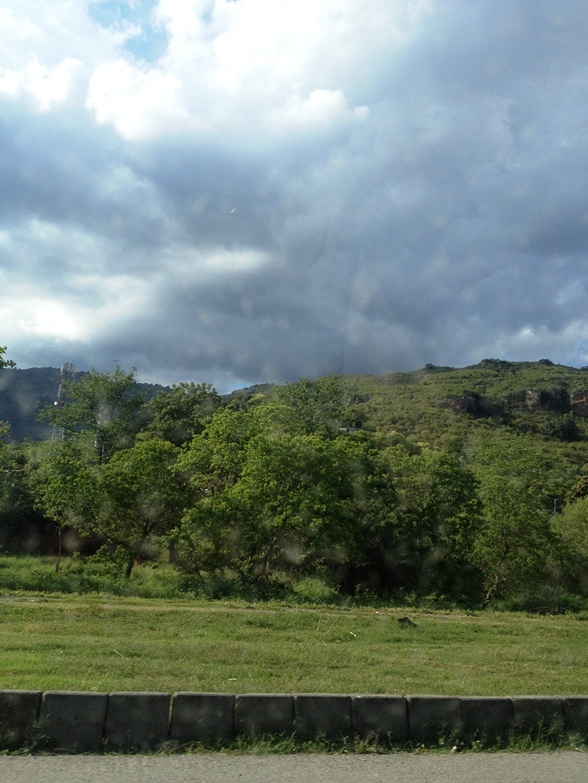 A stream runs throughout the trek and there are great views of the hills and city after an hour’s walk. Wake up early, take a couple of friends, and enjoy some much-needed nature time with fresh air, green grass and a cool breeze. 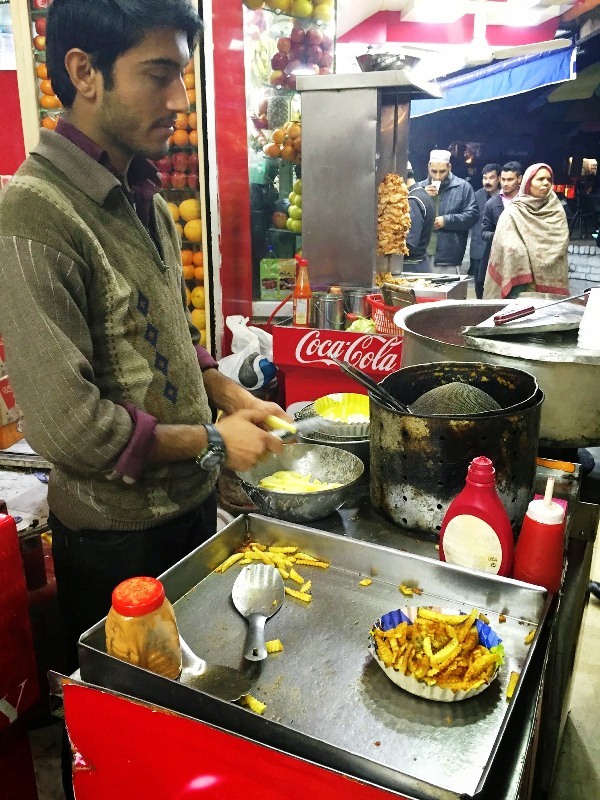 Islamabad is a foodie’s heaven. With food galore, you can find the most exquisite of cuisines here. 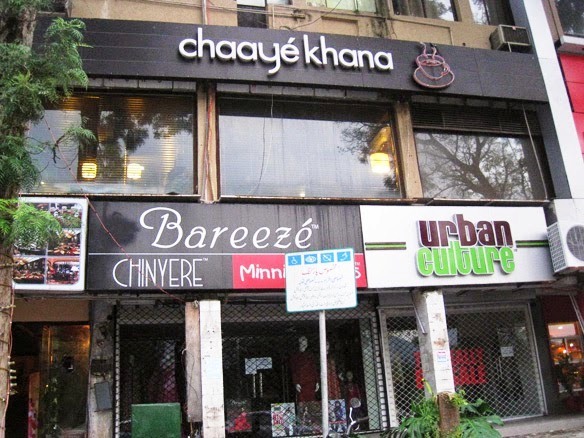 And if you are in a mood for some amazing breakfast, Chaaye Khana cafe is the place for you. 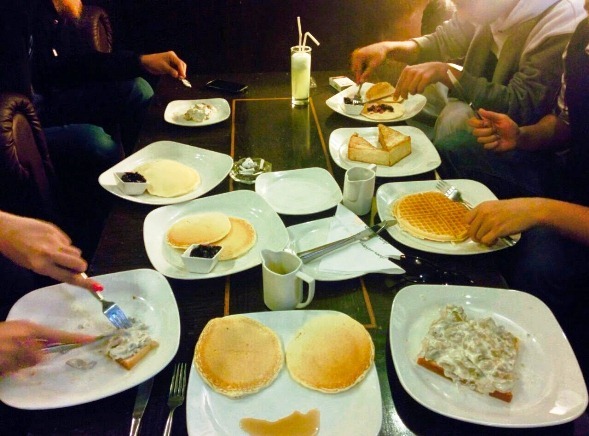 French toasts, omelet, pancakes and waffles – yum! The view of the capital city from Monal is breathtakingly amazing. The winding road up to the restaurant is an enjoyable ride as well and the food itself is pretty good too. 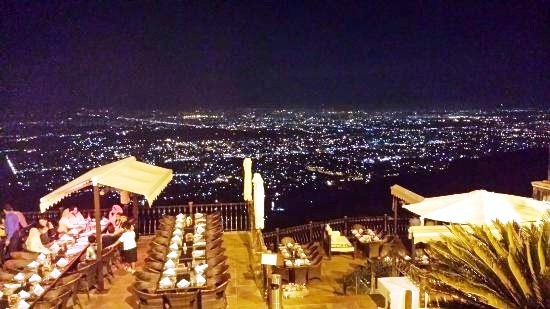 Monal should be a must-go place on your list. Head over to Savour Foods on Jinnah Avenue (Blue Area between F7 and G7) to enjoy a nice, economical lunch or dinner. 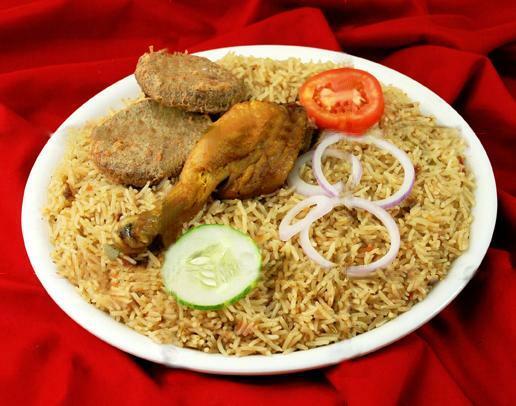 For around Rs150, you can get a plate of the famous chicken pulao, two shami kababs, fresh salad and raita. You haven’t visited Islamabad if you haven’t eaten this delicacy. I’m beginning to realise that my list has more to do with food, but that is what you get when foodies travel. Enjoy the peace and scenery of Islamabad but don’t miss out on the food; you can hit the gym once you get back home. 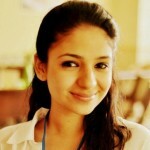 A recent graduate from Lahore University of Management Sciences, Manaal is a Marketing Associate at the fashion house, Tena Durrani and an assistant blogger at Karachista. Need to recover from the food coma after wedding season? These five gyms can help you do that! the writer has missed a lot of beautiful places in Islamabad. the rose and jasmine garden, Shah Allah Ditta, Bari Imam, Country club resort, the neela sandh etc. and as far as restaurants and coffee shops are concerned, chaye khana isnt giving the quality, as it gave in the year of its launch. there are other good restaurants like KHIVA and tuscany and cafe’s like atrio etc. which are far better than the one’s mentioned. Thanks for telling the whole world about Street One, now I wont even be able to have a quiet meal at my favourite place in my city! I will be definitely heading to some of these restaurants next time I am in Islamabad. 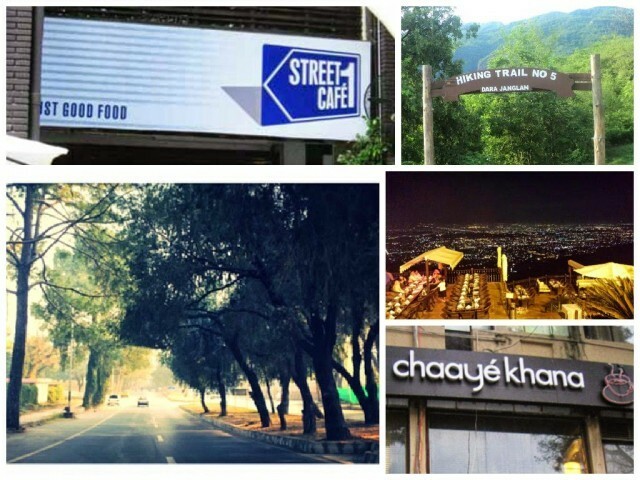 see ALL the places or visit ALL the restaurants in Islamabad in two days. picnic lunch. Stop at a nice restful spot. Simply enjoy nature. The outdoors.